Nenad Milijas was today dropped to the bench for Serbia’s second Group D match against Germany. He was less than impressive in the opening game against Ghana and Kuzmanovic has replaced him in the centre of midfield. At the time of writing the game is ten minutes old and Wolves manager Mick McCarthy is the co-commentator on BBC 1 & HD. 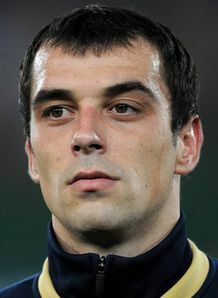 Milijas will play alongside Dejan Stankovic in the centre of Serbia's midfield. Wolves midfielder Nenad Milijas starts for Serbia in their opening game against Ghana today. I wasn’t sure whether he’d start after mixed reviews during the warm up games but he has made the first eleven. *Adlene Guedioura came on late on for Algeria in their 1-0 defeat to Slovenia. Ex-WBA midfielder Robert Koren scored the goal after a second goalkeeping howler in Group C within 24 hours. Serbia: Stojkovic, Ivanovic, Lukovic, Vidic, Kolarov, Krasic, Milijas, Stankovic, Jovanovic, Pantelic, Zigic. Subs: Isailovic, Rukavina, Kacar, Tosic, Lazovic, Obradovic, Ninkovic, Petrovic, Subotic, Mrdja, Kuzmanovic, Djuricic. Ghana: Kingson, Pantsil, Vorsah, John Mensah, Sarpei, Tagoe, Annan, Kevin-Prince Boateng, Andre Ayew, Asamoah, Gyan. Subs: Adjei, Inkoom, Jonathan Mensah, Derek Boateng, Appiah, Muntari, Amoah, Rahim Ayew, Adiyah, Addy, Owusu-Abeyie, Ahorlu. Milijas has 16 caps for Serbia. Nenad Milijas was an unused substitute in Serbia’s final warm-up game before the World Cup. Serbia faced Poland at the FC Kufstein stadium in Austria and Milijas’ central midfield slot was taken by Zdravko Kuzmanovic of Stuttgart. After not featuring much this season, Milijas will be hoping to impress Mick McCarthy by some impressive displays in South Africa, where McCarthy will analyse matches for the BBC. Milijas has made 19 league appearances for Wolves this season scoring two goals. Nenad Milijas has re-iterated his desire to stay at Molineux after only a handful of appearances this season. The Serbian is due to represent his country at the World Cup in less than a month. He told the Express and Star: “I’m really happy here and I’m excited about playing here next season. I really expect to be here – I have three more years on my contract and I can’t think why I’d want to leave. “It would be stupid of me to think of going anywhere else now. 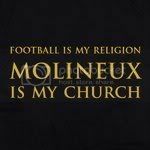 If people at the club or the fans have a problem with me, then I’ll to to find another club who want me. I’ve looked back over the last nine months to pick out my best and worst five moments of the season. Kevin Doyle’s winning goal at Spurs – Doyle headed in Nenad Milijas’ wide free-kick after only three minutes at White Hart Lane. Wolves held on for a further 91 minutes and recorded a famous victory in the capital. Jubilent! Adlene Guedioura’s goal at Burnley – after already being a goal to the good thanks to Matt Jarvis, Guedioura struck a second just after half-time to seal a crucial win for Wolves in what was a huge six-pointer. Overjoyed! Andy Keogh’s header at Wigan – Keogh’s goal after six minutes handed Wolves their first win of the season and their first ever Premier League away victory. Buzzing! 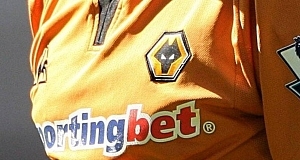 Nenad Milijas’ screamer against Bolton – Miljas sealed the win against Bolton at Molineux with a rocket from 35 yards after Jody Craddock had put Wolves ahead. Astounded! Beating Spurs 1-0 at Molineux – Wolves completed the double over Tottenham thanks to a goal from midfielder Dave Jones. An 18-pass move resulted in Jones volleying home from 18 yards to send the Molineux faithful into raptures. Delighted! Matt Jarvis‘ goal at West Ham – Another great night for Wolves in London was confirmed by Matt Jarvis’ sweet strike from the edge of the area. Glorious! Nicklas Bendtner’s stoppage-time header at the Emirates – After holding out for 93 minutes, Wolves’ resolve was finally broken at Bendtner headed home to give Arsenal a 1-0 victory. Gutted. Losing to Birmingham City thanks to one man: KEVIN PHILLIPS – Wolves led 1-0 thanks to Kevin Doyle. Then came on Wolves’ arch-enemy, Phillips. The former West Brom striker scored the winner ten minutes from time to give Blues the win. Wounder! Losing to Portsmouth – Portsmouth had lost eight straight games before coming to Molineux in September. A single goal from Hassan Yebda seeled the points for the now relegated side. Devastated! Wolves 0-0 Stoke – possibly the most boring game in the history of the Premier League. Enough said! Zzzzzz! Getting thumped at Chelsea – Mick McCarthy opted for a 3-5-2 formation against the country’s best side at the time. Messrs Surman and Halford started and boy did they wish they didn’t. Chelsea 4-0 Wolves. Embarrassment! Do you agree or disagree? What were your best and worst moments. Post your comments below.